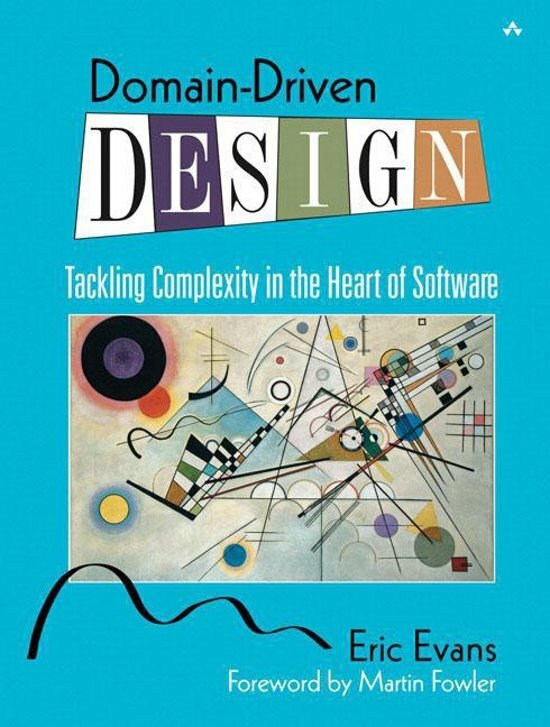 Eric Evans has written a fantastic book on how you can make the design of your software match your mental model of the problem domain you are addressing. His book is very compatible with XP. It is not about drawing pictures of a domain; it is about how you think of it, the language you use to talk about it, and how you organize your software to reflect your improving understanding of it. Eric thinks that learning about your problem domain is as likely to happen at the end of your project as at the beginning, and so refactoring is a big part of his technique. The book is a fun read. Eric has lots of interesting stories, and he has a way with words. 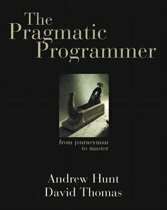 I see this book as essential reading for software developers-it is a future classic. 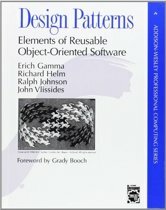 -Ralph Johnson, author of Design Patterns If you don't think you are getting value from your investment in object-oriented programming, this book will tell you what you've forgotten to do. Eric Evans convincingly argues for the importance of domain modeling as the central focus of development and provides a solid framework and set of techniques for accomplishing it. This is timeless wisdom, and will hold up long after the methodologies du jour have gone out of fashion. -Dave Collins, author of Designing Object-Oriented User Interfaces Eric weaves real-world experience modeling-and building-business applications into a practical, useful book. 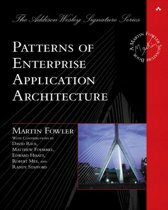 Written from the perspective of a trusted practitioner, Eric's descriptions of ubiquitous language, the benefits of sharing models with users, object life-cycle management, logical and physical application structuring, and the process and results of deep refactoring are major contributions to our field. -Luke Hohmann, author of Beyond Software Architecture This book belongs on the shelf of every thoughtful software developer. -Kent Beck What Eric has managed to capture is a part of the design process that experienced object designers have always used, but that we have been singularly unsuccessful as a group in conveying to the rest of the industry. We've given away bits and pieces of this knowledge...but we've never organized and systematized the principles of building domain logic. This book is important. -Kyle Brown, author of Enterprise Java (TM) Programming with IBM (R) WebSphere (R) The software development community widely acknowledges that domain modeling is central to software design. Through domain models, software developers are able to express rich functionality and translate it into a software implementation that truly serves the needs of its users. But despite its obvious importance, there are few practical resources that explain how to incorporate effective domain modeling into the software development process. Domain-Driven Design fills that need. This is not a book about specific technologies. 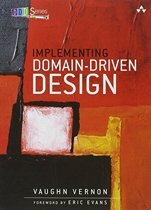 It offers readers a systematic approach to domain-driven design, presenting an extensive set of design best practices, experience-based techniques, and fundamental principles that facilitate the development of software projects facing complex domains. 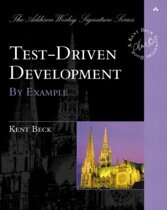 Intertwining design and development practice, this book incorporates numerous examples based on actual projects to illustrate the application of domain-driven design to real-world software development. 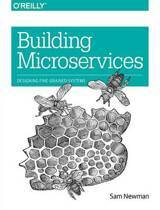 Readers learn how to use a domain model to make a complex development effort more focused and dynamic. A core of best practices and standard patterns provides a common language for the development team. 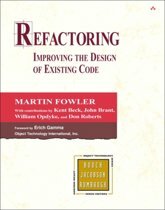 A shift in emphasis-refactoring not just the code but the model underlying the code-in combination with the frequent iterations of Agile development leads to deeper insight into domains and enhanced communication between domain expert and programmer. Domain-Driven Design then builds on this foundation, and addresses modeling and design for complex systems and larger organizations.Specific topics covered include: Getting all team members to speak the same language Connecting model and implementation more deeply Sharpening key distinctions in a model Managing the lifecycle of a domain object Writing domain code that is safe to combine in elaborate ways Making complex code obvious and predictable Formulating a domain vision statement Distilling the core of a complex domain Digging out implicit concepts needed in the model Applying analysis patterns Relating design patterns to the model Maintaining model integrity in a large system Dealing with coexisting models on the same project Organizing systems with large-scale structures Recognizing and responding to modeling breakthroughs With this book in hand, object-oriented developers, system analysts, and designers will have the guidance they need to organize and focus their work, create rich and useful domain models, and leverage those models into quality, long-lasting software implementations. 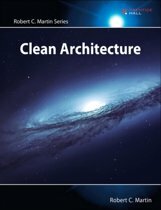 If the advice and the underlying processes and procedures outlined in this book are followed any software engineering process or lifecycle approach will be dramatically improved. 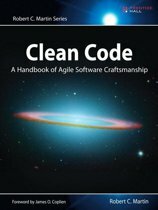 Note that the material in this book is as applicable to agile methods as they are to heavy approaches, including the still used waterfall SDLC. Why five stars? Because this book peels off the layers of what is wrong with development, discarding them and replacing them with alternatives that promote communications among all stakeholders, placing design into its proper context, and provides the glue that binds subject matter experts from business and technology domains into a cohesive team using the same language and pursuing the same goals. On the surface this seems like common sense, but in practice, it is rarely done. Indeed, the lack of the ingredients given in this book on most projects is the reason why so many projects fail or are cancelled, and why there exists today a real disconnect between IT and the business. Following this book, implementing the practices, and managing to them will make a world of difference in the success rate of any organization, large or small. I like the copious examples to illustrate the technical concepts, and especially chapters 9 (Making Implicit Concepts Explicit) and 14 (Maintaining Model Integrity) because these are two areas in design that I've observed to be potential failure points - the first because too often wrong assumptions are made and locked in, and the second because models sometimes take on a life of their own and morph into unintended things. This book emphasizes a number of critical success factors, including knowledge, communication, control and vision. If the material is approached as merely an intellectual exercise then you'll probably be dissatisfied with the book. If, on the other hand, you are genuinely seeking a solution to a high project failure rate or disconnect among stakeholders, and are willing to do what it takes this book will provide a blueprint for success. 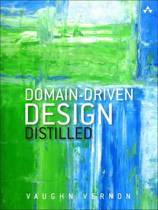 Zeer goed boek over Domain Driven Design. Gaat goed en begrijpelijk in op de materie maar soms moet er even goed nagedacht worden over de stof. Een prachtig boek over DDD. Je merkt wel dat de inhoud in 2003 toen het geschreven was nog scherpe randjes bevat. Het blijft echter een bijzonder goede basis voor DDD.